Flash is fast, clean, modern and free responsive multipurpose WordPress theme. Flash is really versatile theme perfect for any kind of website which you want to build. It provides multiple pre-built demos which can be imported in seconds using ThemeGrill Demo Importer Plugin. The theme fully integrates with Flash Toolkit and SiteOrigin’s Page Builder Plugin that makes theme more user-friendly and easy. 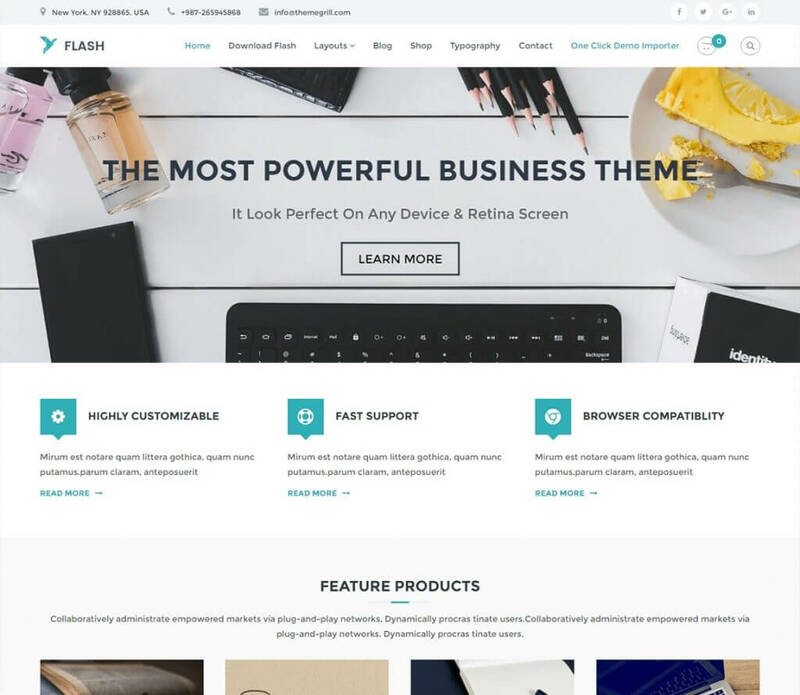 Flash is provides multiple features to its users like it has multiple blog layouts, WooCommerce support, multiple header styles, multiple color options etc.